Well, whaddya know — sometimes those three-and four-page previews they run in the back of comics actually work. Look, I’m just going to admit the truth. Right now, I am totally obsessed with Twin Peaks. Even as I spent the last few days watching movies off the DVR and writing the reviews that I posted on this site today, I still found my thoughts continually returning to Twin Peaks. So, in honor of that obsession, here’s a special edition of 4 Shots From 4 Films. I’ve never been there, so I had no idea, but apparently Istanbul is a city of cats. I mean lots and lots of cats. Which means two things : my wife would probably love it there, and there’s a heck of a documentary just waiting to be made about this whole situation. 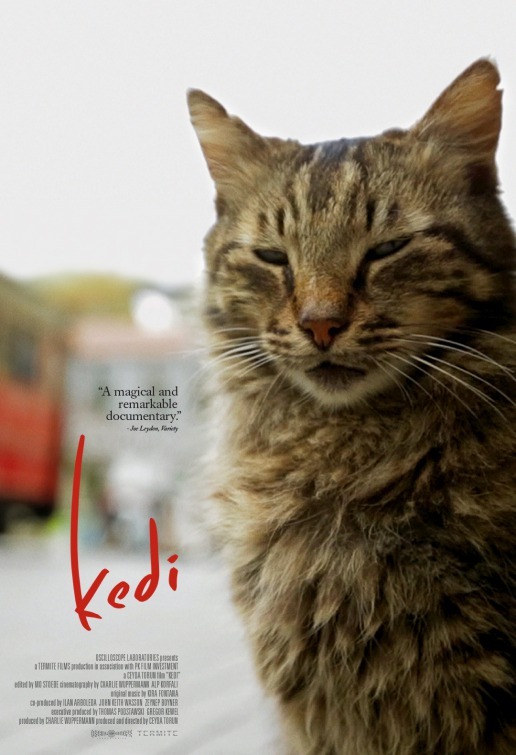 Okay, fair enough, I probably wouldn’t have guessed the latter to be the case, either, but Turkish director Ceyda Torun knows better than I, and late in 2016 he proved it by releasing his new film Kedi, which has gotten some pretty strong (and frankly well-deserved) notices from around the world, and recently made its way to the eclectic discount house (that would be the Riverview Theater in Minneapolis) just up the street from our house, so any excuses I may have once had for giving it a pass are, obviously, long gone. Here’s The Trailer for Wind River! Here’s the trailer for Wind River, a crime thriller that has gotten good reviews at both Sundance and Cannes. First off, a lot of people are pointing out that it stars two members of the MCU, Jeremy Renner and Elizabeth Olsen. At this point, however, the MCU is so big — with the movies and Netflix and the tv shows — that it’s hard to think of a recent or upcomng film that doesn’t feature at least one actor from the MCU. At this point, MCU actors running into each other in non-MCU movies is no longer as big a surprise as it may have once been. It’s kind of unavoidable. For me, the most intriguing thing about Wind River is that it is the directorial debut of Taylor Sheridan, who previously wrote the amazing screenplays for both Sicario and Hell or High Water. I’ll be curious to see if Sheridan is as good and unpredictable a director as he is a writer. I want to tell you about The Rachels but it’s not going to be easy because, at the same time, I don’t want to tell you too much. The Rachels is a whip-smart and wonderfully snarky little satire and, because of the non-linear narrative style that the first half of the film employs, there’s very little I can tell you about the plot without spoiling the movie. Don’t be put off by its origins as a Lifetime film. Don’t judge the film just because the title was obviously inspired by Heathers. How good is The Rachels? It’s so good that I’m tempted to call it nifty. That’s how good it is. It tells the story of two teenage girls named Rachel. They’ve been best friends forever. They do the morning announcements together, always ending things by reminding the school, “We’re the Rachels.” Rachel Nelson (Madison Iseman) is blonde and popular, a track star who is loved by everyone. Rachel Richards (Caitlin Carver) is brunette and she’s slightly less popular than Rachel Nelson. Rachel Richards is almost always in the shadow of Rachel Nelson. While Rachel Nelson is praised by her track coach, Rachel Richards is consistently told that she could do better. And then there’s Roxie (Daniela Bobadilla), a photographer who seems to be slightly obsessed with Rachel Nelson but is disliked by Rachel Richards. Roxie claims that she was once one of the Rachels but she is continually told, by one of the Rachels (I can’t reveal which one), that she was never really a Rachel. At a late night party, one of these three girls will fall off of the roof and plunge to her death, the result of an apparent suicide. The film, in its non-linear fashion, holds off an immediately revealing which one of them fell from the roof and I will do the same. What I can tell you is that the entire school soon becomes a shrine to the dead girl and the two survivors both use her death to their own advantage. Both of them, by linking themselves to the now sainted dead girl, become very different types of celebrities. It makes for a very sharp satire, one that perfectly skewers today’s culture of instant fame and internet grieving. All three of the main actresses — Maidson Iseman, Caitlin Carver, and Daniela Bobadilla — are perfectly cast and give pitch perfect performances. This is one of those films where no one turns out to be exactly who you thought they would be. Well-written, well-directed, and wonderfully acted, The Rachels keeps you thinking and guessing. That’s really all I can say about the movie without giving away too much. Keep an eye out for it. For most of today, I’ve been posting reviews of films that I watched off of my DVR. Well, I’m going to take a brief break from that pattern to tell you about a film that I watched last weekend. It was a low-budget sci-fi film, a real labor of love that the director posted on YouTube. 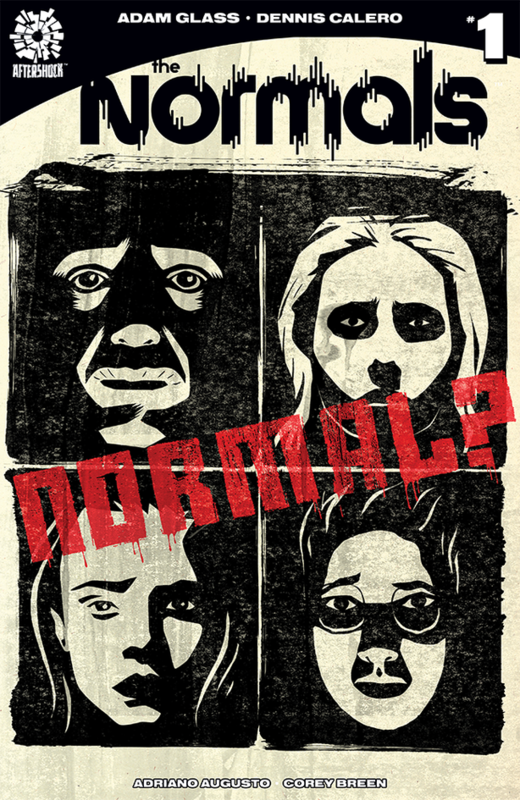 I watched this film with some of my friends from the Late Night Movie Gang: there was me, Kurt Zellner, Holly Wilson, Janeen Worrall, Phil Kaine, Michael McDow, and Jes Coolbaugh. For the most part, we enjoyed this film. The name of the movie was Space Trucker Bruce. I’m trying to think of the best way to explain the plot and it’s not easy. It’s a very episodic film and I think it could actually be argued that there really isn’t a plot per se. Instead, there’s just a lot of stuff that happens. Some of it is connected and some of it isn’t but the randomness of it all is part of the film’s charm. Space Trucker Bruce takes place in the far future. The Earth has colonized the solar system. Humans and human businesses have taken over space. Bruce (Karl Sears) is a space trucker. He’s currently in the process of hauling 20,000 tons of hog fat from Earth to a space station. It’s a lonely job, to be honest. At the start of the film, Bruce doesn’t have any human companionship. He does have a robot, though it’s possible that the robot might actually just be a trash can. You’ll have to watch the film to know for sure. He has several books to read, including a few by the noted Catholic historian Garry Wills. He also has movies, which apparently hardly anyone watches in the future. (Bruce is one of the few people in existence to still know what Star Wars is.) There’s also a tub of cream cheese that has apparently come to life and which keeps encouraging Bruce to do some really bad things. Or at least, we assume that the cream cheese has come to life. Could Bruce just be crazy? During the journey, Bruce gets some human companionship when he picks up a hitchhiker named Max (played by the film’s director and writer, Anton Doiron). Max is an affable if occasionally neurotic guy. He has a hard time adjusting to Bruce’s laid back personality but, on the plus side, Max is willing to watch movies. The rest of the film — well, I guess the simplest way to put it would be that Bruce and Max have various adventures while making their way to the space station. Except, they’re not really adventures as much as they’re just stuff that happens. Calling them adventures would suggest that Bruce and Max were really active participants. For the most part, they both spend the majority of the film just relaxing in the ship and occasionally responding to stuff that happens. I mean, if the ship is about to be destroyed then sure, Bruce and Max are going to try to stop that from occurring. But, for the most part, Bruce and Max are just kind of hanging out. And that really is the film’s charm. This is a low-budget film that proudly embraces the fact that it’s a low-budget film. The sets and the special effects manage to look cheap and effective at the same time. There’s a real charm to the fact that the director wanted to make a space epic and he managed to do it, despite not having much money. Even the amateurish acting become charming after a while. To say that the actors were stiff would be an understatement. But, at the same time, Karl Sears was perfectly cast as Bruce. He just was Bruce in much the same way that Anton Doiron just was Max. There are some films that you appreciate just because they actually managed to get made and seen. Space Trucker Bruce is one of those films. Space Trucker Bruce is available, for free, on YouTube. It’s not a film for everyone but here’s the thing. If it’s not for you, you’ll know after the first ten minutes. However, if you’re still watching after those ten minutes then you’ll probably enjoy this odd little movie. It’s been a few weeks since we last shared an AMV here on the Shattered Lens. Our resident anime experts, Arleigh and Pantsukudasai56 are currently at Fanime Con in San Jose and I’m sure they’ll be returning with all sorts of interesting stuff. Until they return, I’m going to go ahead and share another Ace Attorney AMV.